The road accessible Pino de Plata Project lies on the western edge of the prolific Sierra Madre Occidental silver-gold belt. 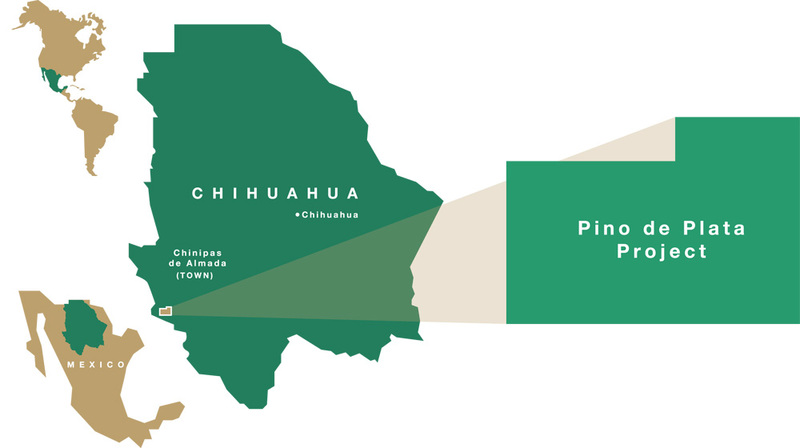 The property lies in the southwest corner of the state of Chihuahua, Mexico approximately 6 km south of the town of Chinipas de Almada. First indications of activity on the property go back to the Spanish Colonial era (1600's). 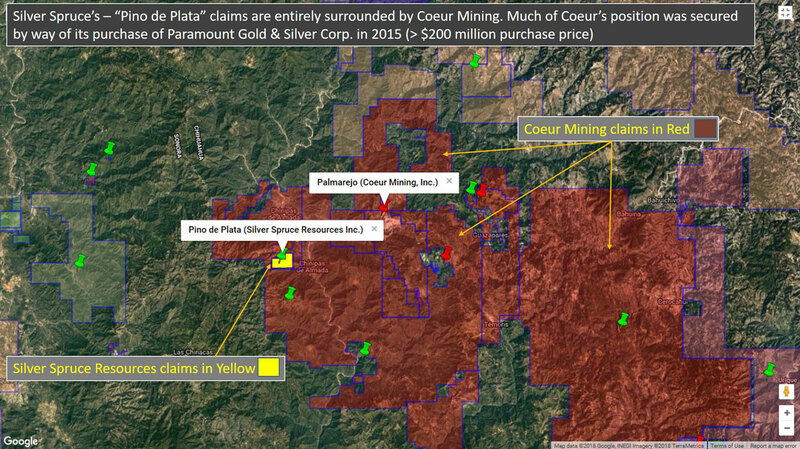 Since the 1800's, including over the past 30 years, artisanal, small scale surface mining of high grade silver/base metal veins (likely >1,000 g/ton silver) is evident at workings at nine (9) discrete locations on the property. Many producing mines in the Sierra Madre are classified as epithermal deposits with the mineralization typically being hosted in multiple veins, breccias, stockworks, and replacement zones associated with hydrothermal activity triggered by intrusions during Cretaceous to Tertiary geologic time. 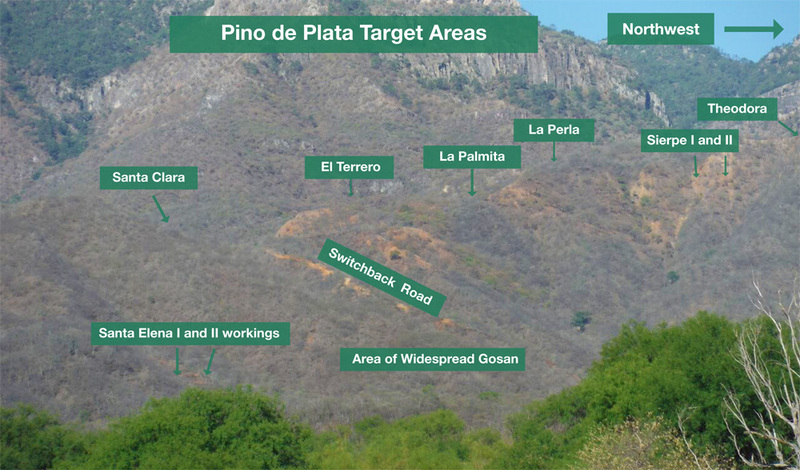 Pino de Plata is classic in this respect, not only showing all forms of mineralization but faulting and veining orientations that align well with regional trends associated with producing structures in other areas of the belt. 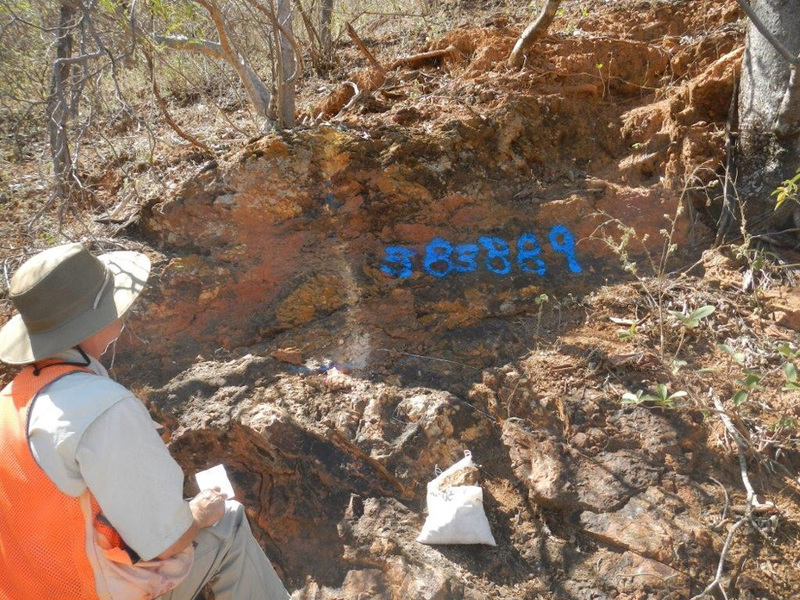 As is the case at Pino de Plata, high base metal values (Pb, Zn,Cu) are often associated with high precious metal values in these epithermal veins. 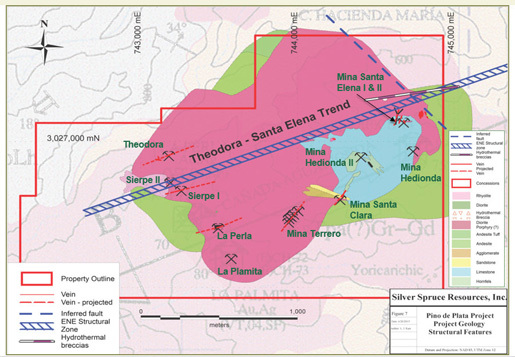 As is the case at Coeur Mining's Palmerejo mine located approximately 15 km NE of Pino de Plata, within the mineralized portions of the structures, silver and gold can be zoned from top to bottom with higher silver values occurring in the upper parts of the deposit and higher gold values in the lower parts. This notion is untested at Pino de Plata. 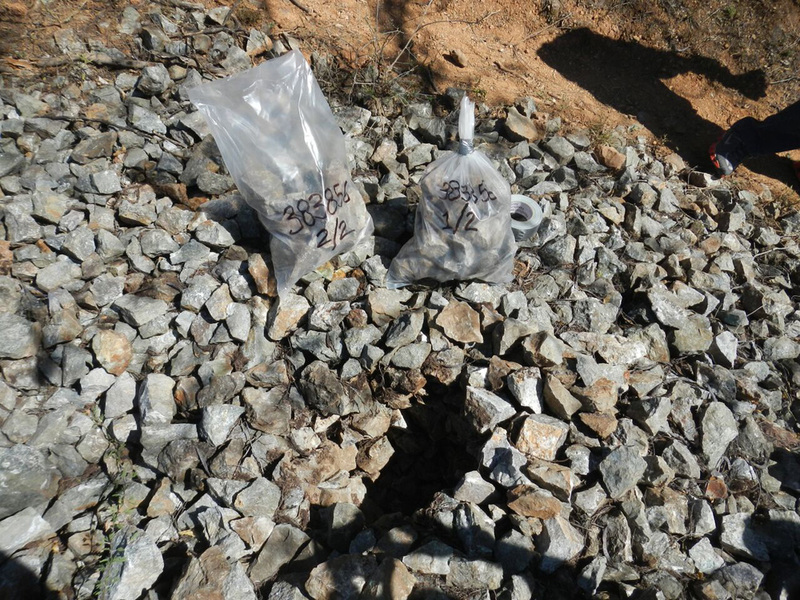 Silver Spruce's recently completed a 43-101 exploration assessment yielded many silver values in excess of 200 g/ton and some greater than 500 g/ton from areas that for the most part have either been high graded at surface or are highly altered and leached (gossan) at surface. Gold values were generally low. More importantly, the 43-101 assessment described large areas of alteration on a property with limited exposure and recommended an aggressive exploration program. While a systematic program of exploration was outlined, it noted a key objective should be identifying potential drill targets in three areas deemed to be the most prospective; the Terrero Mine area, the Santa Elena-Gossan area and the Sierpe/Theodora veins. Suite 312- 197 Dufferin St.